Where now for the next-gen consoles? If your games console was a person, its relatives would be subtly leaving brochures for retirement homes near its favourite chair. The Wii and PS3 have been on sale since 2006, and the Xbox 360 is even older: it shipped in late 2005. So what's next? Officially, what's next is nothing: Microsoft has just revamped the Xbox and added Kinect, and both it and Sony say there's plenty of life in these old dogs. Nintendo, though, begs to differ. Its all-conquering Wii is about to be replaced with a new Wii, although sadly the next Wii probably won't be called the Wii Wii. 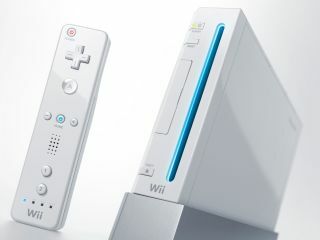 For now, the Wii 2 is called the "Wii successor system" and it's scheduled for a 2012 launch. In a notice to investors, Nintendo says that "we will show a playable model of the new system and announce more specifications at the E3 expo, which will be held from June 7-9, 2011, in Los Angeles." The console, codenamed "Project Cafe", might be more than just a Wii with better graphics. Rumours suggest a triple-core IBM PowerPC, ATI R700 GPU for HD and/or 3D, and a unique gamepad with built-in touchscreen, twin analogue sticks and even a camera. The camera, we assume, would be for Kinect-style tomfoolery. The components aren't cutting edge, but they're still pretty hefty - and Edge reports that development kits are already in the hands of key game developers including Ubisoft, Activision and Electronic Arts. Meanwhile Microsoft is saying one thing in public and doing another thing in private. Officially the newly redesigned, Kinect-happy Xbox will be around forever and ever and ever, but behind the scenes development of the next Xbox is beginning. Microsoft is posting job adverts for new console blood. And Sony? It probably wishes there was as little PS3 news as there is PS4 news, because this week it fell victim to what appears to be the world's biggest online hack: the PlayStation Network (PSN) has been shut down while the firm works out how badly its 77 million users' data have been compromised. Security firm Sophos says PSN users shouldn't wait: they should cancel their credit cards immediately. It'll be interesting to see what, if any, effect the PSN hack has on Sony's image among gamers. Our columnist Gary Marshall reckons PS3 owners have every right to feel aggrieved. "No matter who's at fault here, it's clear who loses: Sony's customers," he writes. "At best, they're unable to use a service that's a big part of the PlayStation experience; at worst, they're going to have to keep a close eye on their credit cards for the foreseeable future." Will privacy concerns be more of a factor than the PS4's processor? Do we need a new console? To be honest, there's no pressing need for new, next generation consoles: as we found when we rounded up Xbox 720 rumours, Microsoft has repeatedly said that its plan for the current Xbox is for a ten-year lifespan, which would mean at least 2015 before a successor turns up. According to EA's Frank Gibeau, "More computing horsepower is nice, but to be honest, the Xbox 360 and PS3 still have a lot of horsepower that hasn't been tapped." Take Kinect: it's a great bit of kit, but where are the games? With HD graphics and hefty processing power under all our TVs (unless you're using a current-gen Wii) already, many developers' interests are moving to other things, such as LA Noire's attempts to overcome the Uncanny Valley problem with new facial scanning techniques and Brink's combination of single player, co-op and multiplayer in the same universe. Prettier graphics would be nice, but when GamesRadar gives something a spanking it's more likely to be because of "tired mechanics", "generic drudgery" and "aimless and forgettable" stories and characters. More processing power won't fix that.